All toddlers are incredible and as parents, we often celebrate every little thing they do, from the first time they go to the toilet alone to the first time they sing their ABCs. But these five toddlers take amazing talent to a whole new level. You’ve never seen anything quite like these future Olympians and musical prodigies! And one of them is only nine-months-old! 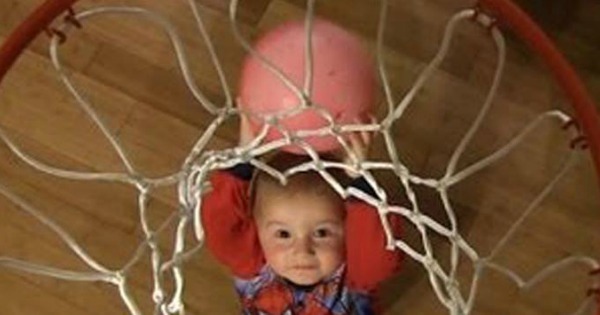 In this video, adorable Trick Shot Titus is only two years old. Yes, two years old. My daughter is two and she can’t even take her shirt off by herself! The incredible toddler from Kansas, USA, has an uncanny basketball shooting ability that led to guest appearances, television commercials and a face off with celebrities Bradley Cooper and Channing Tatum. Titus Ashby is now four years old and still wowing crowds with his superstar sporting skills. He stars in a number of YouTube videos with millions of views each. Kahlei Stone-Kelly, a two-year-old boy from Victoria, Australia, is considered the world’s youngest skateboarder. The toddler prodigy, who has been skateboarding since he was six months old, comes from a family of skate enthusiasts who compete around the country as a team. And while a helmet and perhaps a pair of shoes might be good ideas, we can’t look past his incredible skills and passion for the sport. If you ever needed proof of just how receptive babies are, then check out this incredible video of a nine-month-old baby surfing with his dad. Using a GoPro, Jorge Tirado filmed his son, who is strapped to him, as they hit the waves in Puerto Rico. This video has ridden out a few complaints, especially about the lack of a life preserver, but we can’t help but love the expressions the baby makes as he discovers the sport for the first time. We suspect the future adrenaline junkie will be riding the waves alone very soon. He may still be learning how to put together sentences but he can certainly drop the beat! 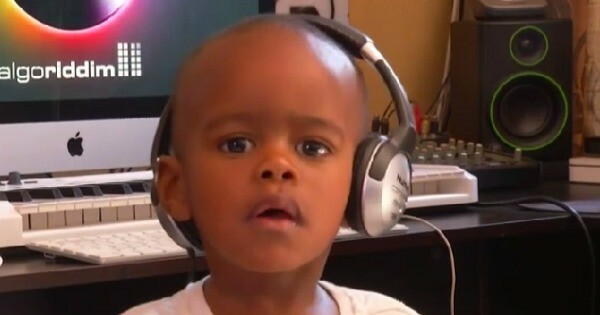 Two-year-old Oratilwe Hlongwane, whose disc jockey name is DJ AJ, is South Africa’s youngest DJ and is already attracting crowds across the world. It was his father’s iPad DJ app that taught the tot how to mix music and his parents were blown away when he started to repeat what he learned on the app on actual DJ equipment. We can’t decide what’s more adorable – the way he bops his head to the beat, his extra large headphones that keep slipping off, or his adorable intensity as he mixes the music. Tyler Stock was only two years old when he showcased his incredible golf swing through YouTube. Following in the footsteps of Tiger Woods, the young toddler would hit balls for hours each day and now, eight years later, Tyler is still playing golf. He won the US Kids Golf Player of the Year in Southern California and qualified for the National Drive, Chip & Putt Championship. Does your toddler have a special talent?